Capture well-structured requirements in a familiar tabular view resembling MS Word and Excel. 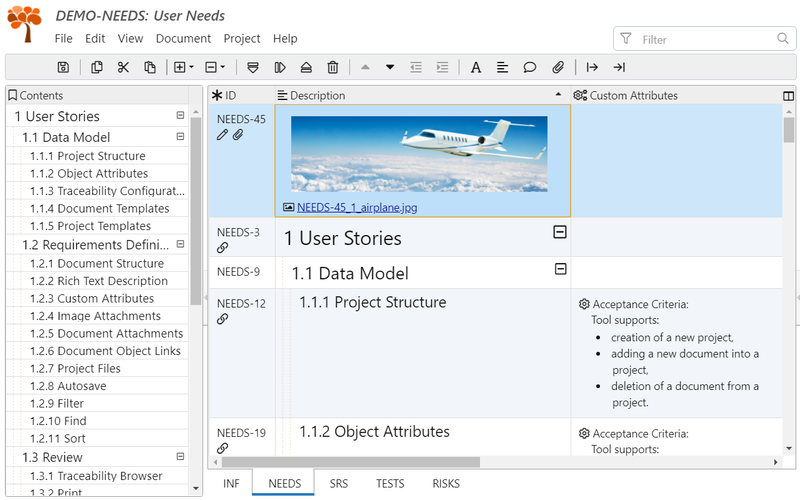 Manage requirements, tests, risks, and other project artifacts in one place using any process. Link requirements and other objects. Browse the requirements traceability matrix and generate multi-level traceability reports. Comply with the highest security standards simply because no project data are sent to the Internet. Collaborate with a distributed team by storing the project on a shared network drive or in your Version Control System. No need to be afraid of vendor lock-in. ReqView project data are human readable files with an open file structure. Use the basic ReqView features for free, or choose an annual plan enabling advanced features and remote support. Very easy to get started with and use, like a spreadsheet specifically designed for requirements. I like the plain text storage, since i can get keep it in a git repo for changes. Great software that is easy to use. Most importantly, they are responsive to new feature requests. The software provides traceability within and between documents with customizable outputs. ReqView is very specific about what it is trying to accomplish, and does it well. It is easy to learn and the pricing makes it a no-brainer to start playing with. Flexibly configure your project documents and traceability. 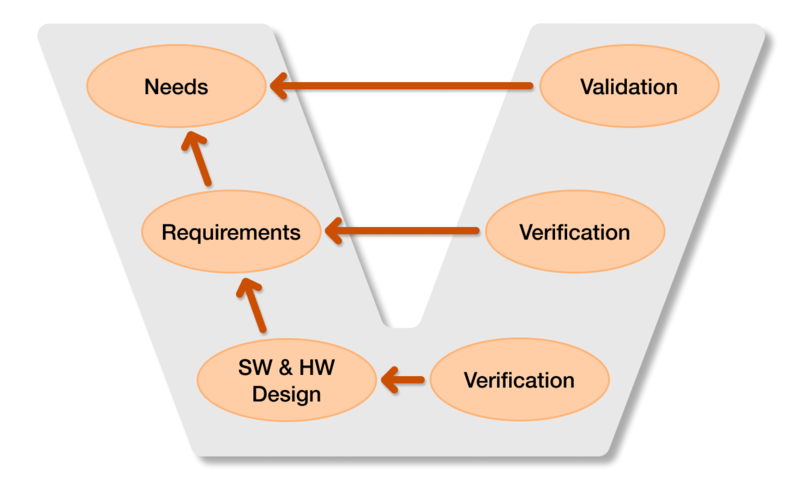 ReqView scales from Agile SW development projects to complex system development projects adopting V-Model methodology. Define custom link types enabling easier analysis of requirements traceability. Capture a structured document in an easy-to-use tabular view displaying the document hierarchy, requirement description, attributes, discussion, and traceability links. Describe requirements with a rich text editor, attached images, PDF files, or other documents. Set up custom attributes for requirements, test cases, and risks for your process. For instance, you can track requirements status, priority, target release, or describe acceptance criteria. Copy or move objects or whole sections. Edit selected attribute values all at once. Filter requirements matching an advanced logical condition evaluating requirement description, attributes, and traceability links. Find keywords using the full text search. Comment on requirements and update their customer or supplier status. Customize an HTML report template and generate a report preserving displayed columns, filters, sorting, and navigable traceability links. Create MS Word documents with custom title pages, table of contents, and paragraph styles. Link related requirements, tests, risks, and other project information. Browse the requirements traceability matrix in the context of the source or target document structure. Display custom traceability columns with multi-level traceability information. Adjust templates for multi-level traceability reports to match your custom layout. Analyze traceability information including important attributes of linked objects, such as user story acceptance or test status. Visualize end-to-end traceability between business needs, requirements, tests, and risks. Manage project risks using Failure Mode and Effects Analysis (FMEA) or other risk management methodology. For each potential risk, capture mitigation actions. Link project risks to related high-level business or functional requirements. Browse the history of changes to track changed requirements attributes, comments, or traceability links. Review changes between project versions in a unique side-by-side comparison view. Manage project revisions in your favorite Version Control System (VCS). Work anywhere on any PC or Mac. Open a shared project from a network drive, lock a document for exclusive edit, and update it offline. Share a project with your suppliers or customers by uploading to Google Drive. Optionally, protect a shared project with a strong encryption. Import existing documents from Word or Excel, or import ReqIF files from IBM Rational DOORS. Export a document into HTML or CSV format using a custom export template. Are you Managing Requirements in Excel? Solve issues with ambiguous requirement descriptions, incomplete requirements, inconsistent traceability links, and missing audit trails.